NOTE: Dr Biskup does not normally do annual exams. His care is focused and specialized in anti-aging and hormone replacement therapy. If you wish to have an annual/physical exam, please schedule it with one of our other providers. What is an annual/preventative exam? An annual exam is a comprehensive preventative exam with your primary care provider for the sole purpose of preventative care. An annual exam does not include discussion of new problems or detailed review of chronic conditions. Annual exams may also be called routine check-ups, yearly exams, wellness exams, an annual pap, or preventive visit. Will my insurance pay for an annual/preventative exam? Most health plans will pay for one wellness or preventative exam per year. Your insurance provider may consider this to be once per calendar year or one year and one day since the date of your last wellness exam. If you have had any other visit billed as preventative during this time period your plan is likely to deny your wellness exam. This would include a well-woman exam or annual pap smear. Your plan may not pay for all testing and/or labs ordered during your wellness exam. If your provider has a concern and orders diagnostic testing and/or labs during your exam you may be held financially responsible. It is the patient’s responsibility to check with their insurance provider to see what is covered under their wellness benefit and to ensure they are eligible prior to scheduling their annual/physical exam. What is the difference between an annual/preventative exam and a problem visit? Preventative visits and tests ordered by your provider can help you stay healthy and catch problems early. Diagnostic visits and testing are used to diagnose a current health problem. Diagnostic tests are ordered by your provider when you have symptoms and they want to find out why. For example, your provider might want you to have a test because of your age or family history, that’s preventive care, but if it’s because you’re having symptoms of a problem, that’s diagnostic care. Can I have an annual/preventative exam and problem visit at the same time? No. Billing issues prevent your provider from doing an annual/preventative physical exam and a diagnostic visit on the same day. This is for your protection as your insurance carrier may deny one of these visits forwarding the financial responsibility to you. 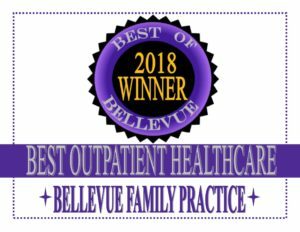 This does not prevent you from asking a simple question or requesting refills of any maintenance medications; however, we ask that you please schedule a separate appointment, on a different day, if you have any new concerns or other ongoing health problems that need more attention. Should your annual physical exam turn into a diagnostic or problem-oriented visit we will bill accordingly.